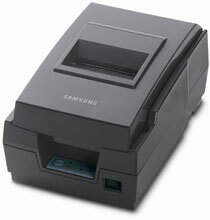 The SRP-270 is an ideal printer for point of sale and hospitality applications. The modular user-friendly design, graphics capability, and 4.6 lines per second print speed offer reliable high performance in a compact, lightweight design. SRP-270CPG	 SRP-270, Impact, two-color receipt printing, 4.6 lps, Parallel interface. Includes auto-cutter & US power supply. Order cables separately. Color: Dark gray. Non-returnable, Non-cancellable. The Bixolon SRP-270CPG is also known as SRP-270CPG	or SRP270CPG	.